Summary: As the cries for war rise again in America, let’s reflect on the consequences from our last several interventions. We bomb foreign nations hoping to build better societies; repeated failure doesn’t discourage our hawks. Third in a series about lessons learned from our wars after 9-11. As I wrote before Obama’s speech, that’s an emotionally compelling response. It claims the moral high ground, seeking to preserve life and end tyranny. It claims authority through the speaker’s military experience, since we believe that Yoda was wrong and wars do make us great. If said loudly and firmly to a crowd it evokes applause (to American audiences; probably not so much in Europe or Asia). Now the echoes of our bombs have died away. Our special operations forces have mostly left. Now we can tally the results. Now begins the vital task of learning from our experience. My first conclusions is that America’s foreign policy will continue to be a series of failures so long as views such as this are heard without revulsion. We don’t own the result in Libya. There is no “pottery barn rule” (believe nothing Thomas Friedman says). The people of Libya have agency, and have the final responsibility for their nation. But as a superpower we have great power. For both our future and the world’s we must learn from our experiences. So what has followed our intervention in Libya, which we were told was almost certain to produce great results? Libya has suffered widespread bloodletting in the aftermath of the 2011 revolution. Over 1,200 people have been killed nationwide in the last two years, victims of revenge, power clashes and spiraling crime. Political divisions within the elected General National Congress, with groups backed by rival militias, have rendered the appointed government almost powerless. The power struggle kept Prime Minister Ali Zeidan under threat of dismissal for months before he was voted out of office on Tuesday, and left the country without an interior minister since August, when the last one resigned. No place has been harder hit than the country’s second-largest city, Benghazi, the birthplace of the Libyan uprising. More than 100 prominent figures, senior security officials, judges and political activists have been assassinated in two years, and the wave of killings is decimating local leadership and paralyzing the government and security forces. … Residents have long complained about the lawless behavior of the numerous militias, including some extreme Islamist groups that maintain bases there, and some that played a role in the attack on the mission. Some of the killings are also blamed on smuggling and organized crime groups, on the hundreds of common criminals who escaped from Colonel Qaddafi’s jails during the uprising and on the caches of looted weapons that are on the streets. Yet political assassinations have become so systematic that officials, legislators and activists from the region describe them as a concerted campaign to extinguish Libyans’ hope of building a stable, functioning, democratic nation. Mr. Musmari, the man killed last July, was the leader of the 17 February Coalition, a group of lawyers and activists who led the rebel government in Benghazi during the war. Judge Bennour narrowly escaped an assassination attempt 10 days before Mr. Musmari was killed. He has since received so many threats on his cellphone that three months ago he left Benghazi and moved his family to Tripoli. He lives in hiding, separately from his family. As time passes, the rate of killing in Benghazi is rising. Early victims were former security officials under Colonel Qaddafi. But increasingly, younger police officers are being targeted, said one Western diplomat, who asked not to be named in keeping with diplomatic protocol. Foreign consulates and expatriate workers have also been targeted in an apparent effort to scare away allies of the new Libya state, including diplomats and workers from neighboring countries such as Tunisia and Egypt. In just one recent week, seven Egyptian traders were abducted and executed, a French engineer was gunned down, and half a dozen Libyans were shot dead. More were wounded in failed attacks. … But those following the assassination campaign closely see it as an attempt to liquidate opponents among the local leadership, reminiscent of past campaigns by Al Qaeda and other extremists in the tribal areas of Pakistan and in Iraq. (b) “Al Qaeda Headquarters in Libya“, 6 May 2013 — “The volatile country, still reeling after the Benghazi attack and several recent bombings, has become a magnet for al Qaeda terrorists determined to sow instability in the region. 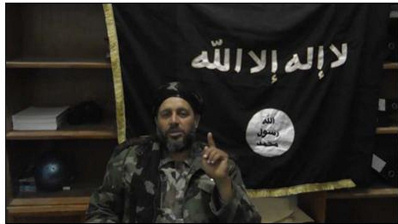 A top Libyan intelligence official reveals that “Libya has become AQIM’s headquarters”. 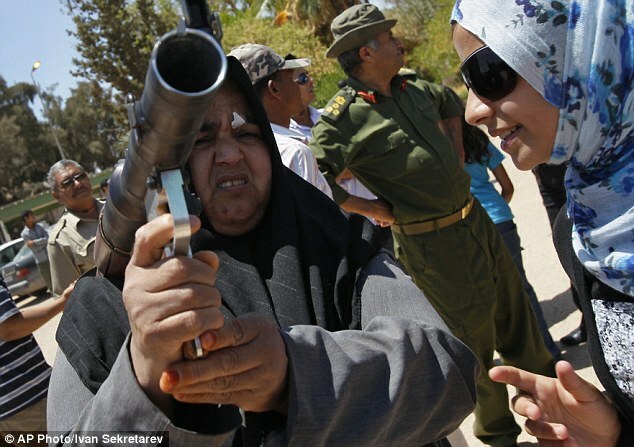 … in just the last few weeks three new al Qaeda camps have opened in southern Libya. The ousting of Libya’s prime minister, who fled to Europe this week, has triggered fighting between eastern and western regions that threatens to divide the country. Ali Zeidan, a popular figure with western diplomats, was sacked by the Islamist-led congress on Tuesday after failing to prevent a North Korean tanker loading oil from a port controlled by rebels in the eastern region of Cyrenaica. Fearing arrest following his dismissal, Zeidan made a late-night escape from Tripoli aboard a private jet, leaving behind a fractured government and a country in turmoil, fighting over its rich oil resources. A few experts explain what lessons we can learn from our Libya intervention. Whether we will learn anything is another question. The Intervention Backfired. NATO’s action magnified the conflict’s duration about sixfold and its death toll at least sevenfold, while also exacerbating human rights abuses, humanitarian suffering, Islamic radicalism, and weapons proliferation in Libya and its neighbors. If Libya was a “model intervention,” then it was a model of failure. Three Lessons. First, beware rebel propaganda that seeks intervention by falsely crying genocide. Second, avoid intervening on humanitarian grounds in ways that reward rebels and thus endanger civilians, unless the state is already targeting noncombatants. Third, resist the tendency of humanitarian intervention to morph into regime change, which amplifies the risk to civilians. Although the government did respond forcefully to the rebels, it never targeted civilians or resorted to “indiscriminate” force, as Western media reported. Indeed, early press accounts exaggerated the death toll by a factor of ten. … From March 5 to March 15, Libyan government forces retook all but one of the major rebel-held cities, including Ajdabiya, Bani Walid, Brega, Ras Lanuf, Zawiya, and most of Misurata. In none of those cities did the regime target civilians in revenge, let alone commit a bloodbath. … NATO intervention signicantly exacerbated humanitarian suffering in Libya and Mali, as well as security threats throughout the region. The only apparent benefit is that Libyans have been able to vote in democratic elections, but the elected government has little authority in a country now controlled by dozens of tribal and Islamist militias accountable to no one. NATO intervention increased the duration of Libya’s civil war by approximately six times, and its death toll by seven to ten times. … To date, however, the observable impacts on other interests — including human rights in Libya and its neighbors, regional stability, and international security — also have been decidedly negative. If this is a “model intervention,” as U.S. officials claim, it is a model of failure. Didn’t the Roman Empire figure out 2000 years ago that you never want to destabilize the local power system; rather, you gain de facto control of it and let it rule as your proxy? It’s much easier to leverage an existing order than to create order from chaos. Perhaps part of the problem is our lack of honesty (mostly with ourselves). We can’t quite bring ourselves to admit that we’re trying to build an empire—to control venues of strategic importance throughout the world for our own security and profit. In pretending that we’re doing this for the benefit of the locals, we overlook the time-tested means by which empires succeed. I think that’s a new twist, though. For a long time, we seemed content to support brutal dictators (so long as they were aligned with our interests). It’s as if we were insulted by 9/11; and we’ve since fallen into some irrational mode of defending our injured self-image by denying both our motivations and our limitations. This is a story about a friend of mine. What did we learn? I can’t speak for the country, but I learned that these endeavors are not worth the costs or effort. “A once-promising strategy for stability in Afghanistan ended badly two years ago, along with the career of its author and chief proponent, Army Special Forces Maj. Jim Gant. His gripping story is detailed in a new book, American Spartan, by Ann Scott Tyson, the former Washington Post war correspondent who interviewed him for an admiring story in late 2009. They fell in love. Tyson eventually joined Gant in an Afghan village, where he built a reputation mobilizing local tribes against the Taliban. A tough, wiry Special Forces soldier, Gant was decorated and recommended for promotion over 22 continuous months of combat in Afghanistan in 2010 and 2011. But in the end, the iconoclasm and disdain for military protocol that enabled Gant’s success were instrumental in his eventual downfall. At his peak, Gant, now 46, posed such a threat to al Qaeda’s objectives that Osama bin Laden personally demanded his head, Tyson writes. Gant’s lows came later, when he was accused by the military command of drinking and other violations, including keeping a “paramour,” and using tactics that recklessly endangered the lives of his troops. At the heart of the military’s discomfort, Gant believes, was his insistence that he could trust his life, and those of his men, to the tribal Afghan fighters he’d trained and armed to reverse the Taliban’s spread across eastern Afghanistan. As always, thank you for sharing your experiences and insights with us! Actually quite good; there is lttle here with which I disagree. Gaddafi’s Libya, for all its faults, was a source of stability within this context and was, at any rate, “the devil we knew.” Since his fall, the entire Sahara has essentially morphed into a huge Sherwood Forest harboring all sorts of illicit elements, of which al Qaeda is but one of many. Recent events in Mali were the direct and proximate result of Gaddafi’s fall; espect similar developments throughout North and West Africa henceforth. In short, the problems you cite are by no means confined to Libya proper but rather have metasticised throughout the entire region. Have you ever wondered WHY Gaddafi’s Libya mysteriously and unexpectedly decided to “play nice” with the Bush Administration? He was defiant towards the Reagan Admin even AFTER a missile attack killed one of his children… so doesn’t it seem unlikely to you that he’d drastically change his behavior for no obvious reason? Perhaps there WAS a reason, and it has something to do with the discovery of Gaddafi’s bizarre obsession with Condi Rice? I think it’s safe to believe the probability of Sec. C. Rice CHARMING or FLIRTING with Gaddafi in order to bring about his change is ZERO percent… LOL. Whatever the ACTUAL reasons for his sudden eagerness to cooperate are probably best left unexamined or discussed in this forum. But considering the eventual fall of his government, it seems VERY VERY likely that if there WERE undeclared or disclosed factors relating to previous dealings with Gaddafi’s regime, those same factors would apply to the overall threads subject. I haven’t seen any references or suggestions as to what said factors might have been or be, but I’m pretty sure that without knowledge of them, a compete understanding of the events in Libya, past, present, and future, would be unlikely to present itself… or allow for a comprehensive analysis of that Countries conflicts. 1) What the powers that be publicly state about the aims of their actions and what they actually intend to achieve are not necessarily congruent, especially since they know right away that many of those official objectives do not make any sense (preventing a genocide or mass rapes in Libya that were not even taking place). 2) In most cases, several objectives are put forward in parallel or in succession, and it is always possible to point out at least one to declare success: “turn Libya into a democracy”, “turn Libya into a vibrant economy freed from Gaddafi’s kleptocracy”, “prevent Libya to sponsor worldwide terrorism further as it did in the past” have all utterly failed (and how! ), but there is always “depose a lunatic, sanguinary tyrant and his clan” to fall back to. The discrepancy between avowed (and often oxymoronic) objectives and actual goals, and the presentation of a multiplicity of official aims in rapid succession have been a characteristic of what happened in Iraq, Afghanistan, Libya, and Syria. I don’t know if you are being sarcastic or not but from a neocon perspective, wasn’t the aim in the Ukraine, Libya, Syria, Iraq, Afghanistan and Yugoslavia to sow violence and chaos? In the case of Iraq and Libya, didn’t all this war lead to oil being taken off the market? Didn’t the anarchy (or intended anarchy) weaken the countries (except the Ukraine and Yugoslavia) so that they no longer posed a danger or irritation to Israel? Sounds unlikely to me. Evidence (not just theory)? True. Note the US was not the leader in the Libya intervention. Taking its oil off the market hurt Europe, marginally. Libya was not a threat to Israel. Was Iraq an enemy of Israel? Saddam sold oil to Israel. Afghanistan was hardly a significant foe to Israel. Syria fell apart by itself; the US has not yet been significantly involved. When evaluating Libya situation you should also think about the possible different outcomes. After “revolutions” in Egypt and Tunisia Gheddafi situation was untenable. Without NATO intervention the most probable outcome would have been a Syria disaster ante-litteram. Not a Gheddafi more or less peaceful return to power. Important Arab forces were at work and NATO intervention has made this work only a little more fast and ordered. Reducing the bloodbath. I am not fond of evaluating outcomes vs counterfacturals. Results are almost always motivated reasoning, validating the author’s prior belief. Given that there remain many “reasonably” stable autocracies in North Africa and the Mideast, graycap’s assumption DOES seem questionable. Nothing obviously, doubles up in Syria and then tripled up in Ukraine. Forgot who said the term (might be Bill Lind) .. ‘non learning machine’. Yes that AQ that we went into, for 12 years, Afghanistan to get .. but now pay and support in Syria (and probably Iraq and did in Libya). Putting on the Churchillian voice: “never in all human history, has a single country created so many enemies, by it’s actions or those criminal paid and trained by itself, that has created so much havok devastation and death, for no purpose than it’s whims. Done so much damage to the endless human desire for peace. Done so much damage to the desires of all human souls. It is a war and if it wins, then all human hope will end. Humanity will fall into a deep pit of despair of pain and cruelty”. I leave it to the readers to work out which parts this pastiche and paraphrases of Churchill’s WW2 speeches the above comes from. “We have seen the enemy … and it is ourselves’….The US ‘elites’ have moved into ‘everyone is the enemy’…. well unless you are from Wall St, AQ, a fascist (oh you so love your Ukrainian fascists don’t you, photo ops, hugs and cuddles, lovely chats*) and so on. And AQ, hugs too (oh you wonderful man McCain). Better get a move on FM on changing your country. Because it is increasingly becoming a horrible place, for Americans living there obviously, but more especially for the rest of the World. Everything is accelerating. Prediction.. time is running out. * You know how Russian intelligence almost certainly did it? As I predicted, why bother creating your own (at huge cost) mobile phone monitoring system when you can easily buy someone (of the 100,000+) with clearance…. duh. Say $100,000 vs $100M … no brainer. The NSA has created, sort of, an Internet of tapping. Also, where is the constantly yapping dog in Ukraine? Especially when people like the Chief Rabbi are asking it for help, being under attack from all those fascists. “The dog that didn’t bark’… so where is Israel and those Israeli lobbies in the US now when Jews are under real threat? Why does a .. US Jewish neo-con have links to those fascists? I admire them in one sense, they are consistent in their tactics (historical reference .. look it up).